The CoreCommerce software is extremely powerful but the user interface is not as polished looking and easy to use as some of the other large ecommerce software solutions. 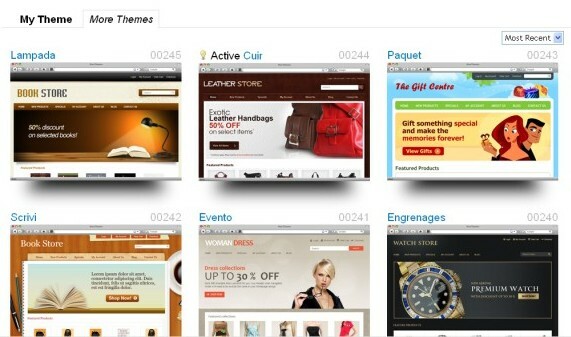 CoreCommerce offers a huge variety of free templates which are beautiful and pretty easy to modify. 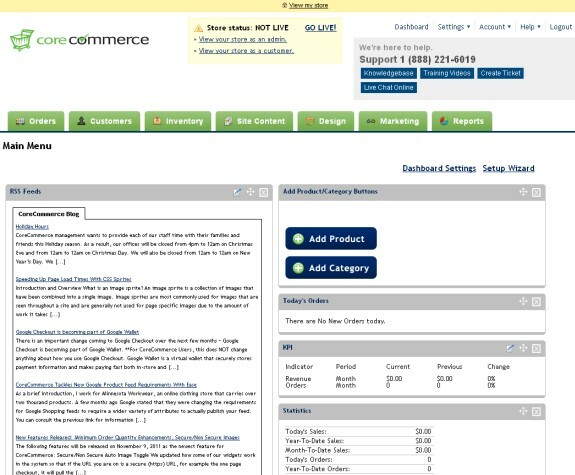 At the time of this CoreCommerce review I found 182 free templates. Some are just different color variations of the same template but most were unique and high quality. 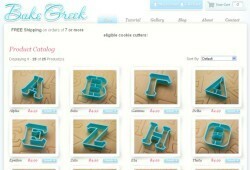 The templates are easy to activate and fairly easy to modify as well. 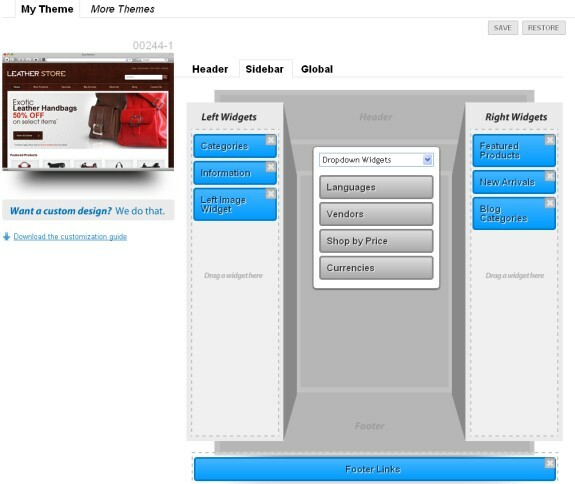 While CoreCommerce doesn't have a full drag and drop design editor like BigCommerce they do have a simplistic drag and drop interface where you can specify in general where things go you just can't see exactly what each widget will look like at design time. Ie you get large boxes for the different objects versus what the box will actually look like. 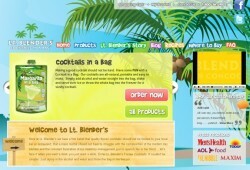 All pages are adequately optimized for search engines and urls can be modified as needed. CoreCommerce also supports setting up 301 redirect, ie for moving from an old site to a new site. 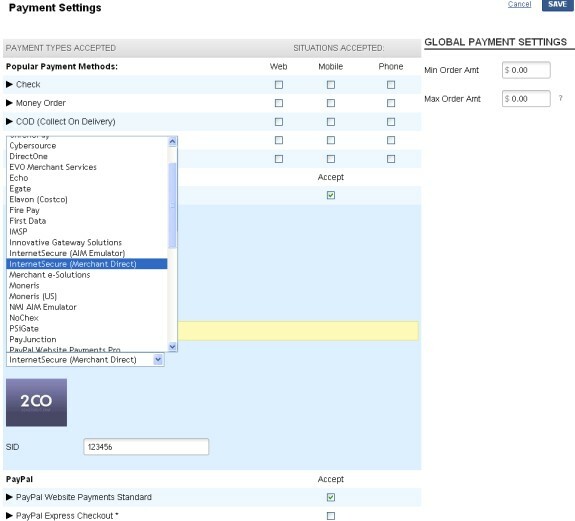 CoreCommerce supports a wide selection of payment gateways. You should have no trouble finding a gateway that works with an existing or new merchant account. They also provide the ability to choose different payment methods for different situations, ie only mobile, only phone in etc. The admin interface loaded ok, although I did have to wait at times. 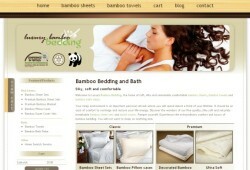 The store itself however I felt was much slower then other similar ecommerce software. Particularly on adding items to the cart and during checkout. Pricing is comparable with other top hosted carts. Plans start at $19.99 per month for smaller stores and go up to $149.99 per month for larger stores. I contacted CoreCommerce a few times via their live online chat and found the operators trying to be very helpful and they were quick to answer however I did not feel that they were very forthcoming with information. For instance I asked what a certain feature was for as I could not understand it and I was just told thats for CRM. I had to ask more specific questions in order to get further information. Online help is missing in some areas. At the top of most major sections there is a dropdown to different help videos/articles etc and these are quite good. There is also both popup and onscreen question marks throughout the interface with additional information. The onscreen help and videos etc are great but there are many screens I found with neither and in some cases this left me wondering exactly what the feature did or how to proceed. 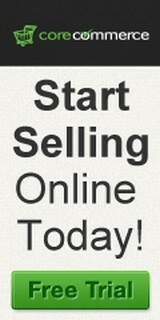 CoreCommerce offers a variety of special features that I did not see elsewhere. This includes things like giving your customers an predetermined dollar amount or percentage of sale for referring friends, who make purchases (separate from a regular affiliate program), multiple language capability and the ability to display or hide, require or make optional any normal field in the customer registration. The slow loading store interface is my biggest concern for the CoreCommerce shopping cart. 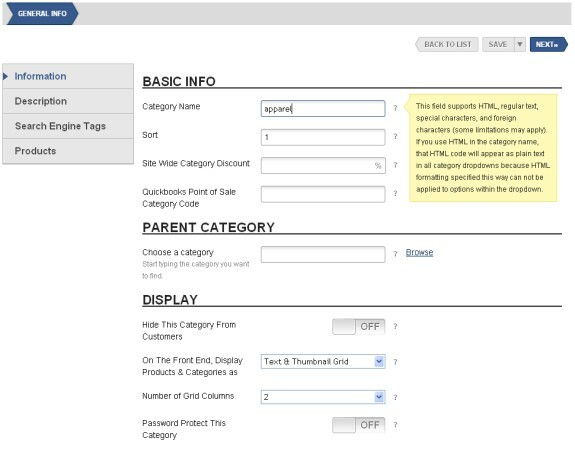 My next concern on this shopping cart interface is the way that some of the admin screens are created, ie instead of making a single screen to capture all of your category information you have to go through 3 separate screens. This does make each screen look less intimidating originally for new customers but it just takes up more time when adding new items etc as each time you have to make many extra clicks and saves to go from one area to another instead of it all being on one page. In the image below note the 4 different areas on left of this page, each is its own setup screen for a single category. This is the case for many different screens. 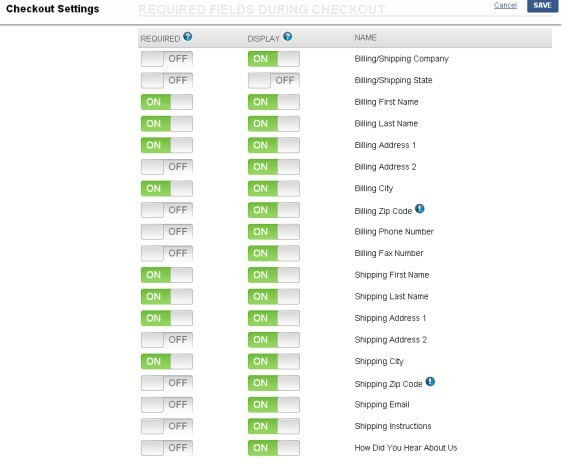 Below are actual stores built using the CoreCommerce shopping cart. If you still need more information before trying CoreCommerce I've included links to a few other good CoreCommerce reviews below.